The following is an excerpt from the column of Councillor Jean Hay, Mayor of Manly, which appeared in the Manly Daily of Saturday 29 January 2000. "... an area between a road (except a road related area) and adjacent land, but does not include a bicycle path, footpath or shared path." All households in NSW have been recently sent a Roads and Traffic Authority brochure explaining the Australian Road Rules. Elderly pedestrians trapped on the roadway. 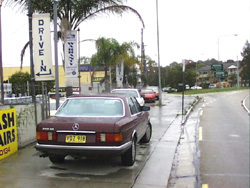 Illegal and dangerous parking like this is a result of long-term non-enforcement and an utter contempt for the rights of the pedestrians demonstrated by Manly Council. 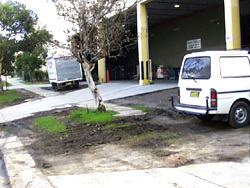 Balgowlah Motors, Condamine Street, Balgowlah, illegally parked on the footpath, less than 100 metres from the Manly Council Rangers' Depot in Roseberry Street. It is also an offence to offer a vehicle for sale outside the Motor Dealers premises. 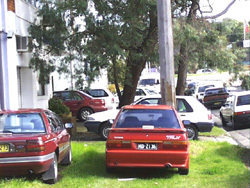 Illegally parked vehicles blocking the footpath in Hayes Street, Balgowlah, less than 50 metres from the Manly Council Rangers' Depot in Roseberry Street. 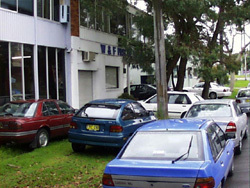 Illegally parked vehicles on the footpath and nature strip in Roseberry Street, Balgowlah, directly opposite the Manly Council Rangers' Depot. Note the damage to the grass verge due to long-term illegal parking. 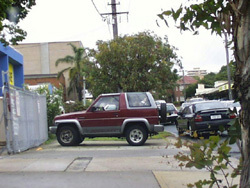 Vehicle blocking footpath in Roseberry Street outside the Manly Council Rangers' Depot. Such an arrogant flouting of the law exists because motorists know they will rarely if ever be booked for this offence in Manly. 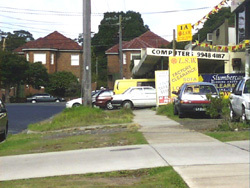 Shops on corner of Roseberry Street and Balgowlah Road. These vehicles are all illegally parked forcing pedestrians out onto the road to pass. 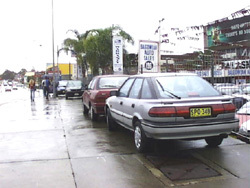 The shops are located less than 75 metres from the Manly Rangers' Depot. 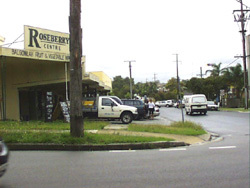 Shops on the corner of Roseberry Street and Balgowlah Road. These vehicles are all illegally parked forcing pedestrians out onto the road to pass. 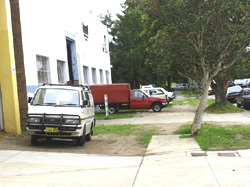 The shops are located less than 75 metres from the Manly Rangers' Depot. "This right to exercise discretion brings with it the need to demonstrate accountability. 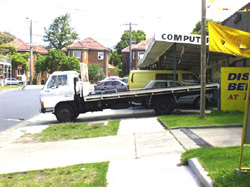 The Interim Report of the Wood Royal Commission into the Police Service found the abuse of discretion through the lack of effective supervision as one of the greatest problems confronting the Police Service ..."
There are however, limitations to the extent to which allocation of limited resources can be used to justify no actioning illegal parking at certain locations over long period of time ..."
"The Audit Office is of the opinion that the arrangements for the enforcement of parking are not as efficient and effective as they could be and should be reviewed ..."
" Accountability of the enforcement role needs to be improved. Currently there is minimal monitoring of the success or otherwise of the enforcement function."